Would you know a “confident saver” if you saw one walking down the street or in a crowd? My guess is probably not, and in a paragraph or two, I’ll explain why this may be so. CFP® Board recently surveyed 1,000 working Americans over 25, and “Confident Savers” emerged as one of four distinct demographics with respect to their financial attitudes and behaviors. The description says it all: these are people who save, and save regularly, and as a result feel pretty good about the future. As for the good feelings of the other three groups – “Concerned Strivers”(CS), “Tentative Savers”(TS), and “Stretched Worriers” (SW)? Well, not so much. But the distinction of Confident Savers in this regard does not mean they are all that different from other folk. Yes, they are older and perhaps as a result, have fewer children living in the home than average. But in certain other ways we usually associate with class or privilege, they are not all that special. For example, 68% of them are white or Caucasian, fewer than is the case with TS, where 73% are white. The median income for Confident Savers is $50K-$100K, and the same is true for CS and TS. The majority of Confident Savers have employer sponsored retirement plans, but the same is true of CS and TS. Just like other survey segments, Confident Savers believe that financial planners are the best source of financial information and worry most about credit card debt and mortgage debt as compared to other types of liabilities such as auto or student loans. And half of them consider Social Security as one of the most important sources of retirement. So why is it that these seemingly regular people are six times more likely to be millionaires than CS or TS, and 13 times more likely than SW? Are they examples of the “Millionaire Next Door” – a type defined in the 1990s by Tom Stanley in his book of the same name? Stanley’s neighborhood millionaire was a guy or gal who worked hard, bought second-hand cars, and had little interest in keeping up with the Joneses. In short, they were the quiet accumulators who did not drive, wear, or flaunt their wealth. We cannot know for sure if the Confident Savers of CFP® Board’s survey are another manifestation of Stanley’s millionaires. The survey did not ask for the make and model of respondents’ cars, or the labels on their clothes. But my guess is that the two groups are very similar in terms of rigorously and consistently living below their means. 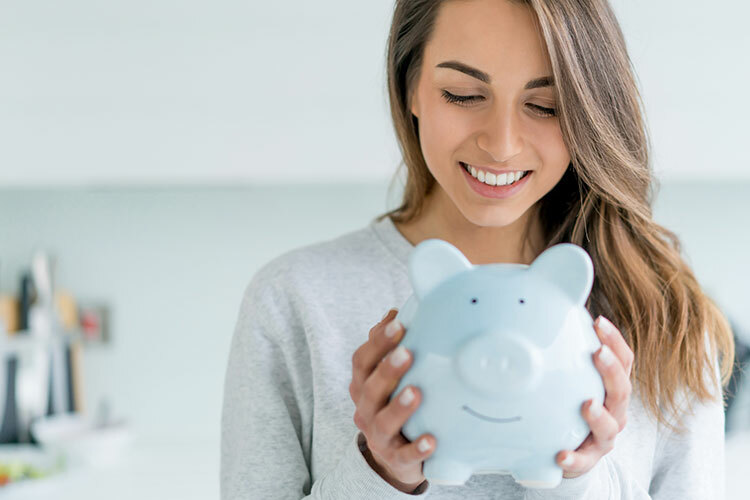 So what are the unremarkable ways that Confident Savers earn their right to sleep well at night, as demonstrated by the fact that 65 percent of them claim to be “very” or “extremely” confident that their savings will lead to a comfortable retirement? Putting first things first: savings. The highest financial priority of Confident Savers is –wait for it – saving money! In this regard they are well ahead of the other groups in terms of what they see as important. They save regularly. Eighty-eight percent of Confident Savers save each and every month. They save early. On average, this group started saving for retirement around 25 years old – long before most people even start thinking about their retirement years. They recognize the value of outside expertise. Confident savers are twice as likely as the other groups to hire a financial planner to manage their money. So there you have it: four basic blocking and tackling steps toward financial security. No need for lottery tickets, taking big fliers in the market or being reincarnated as the next Steve Jobs or Mark Zuckerberg. Confident Savers are the tortoises, not the hares, in life’s financial contest. They don’t have to push and sweat as retirement comes near – they can take it easy in those final laps. After all, isn’t that what retirement is for? Copyright © 2017. CERTIFIED FINANCIAL PLANNERTM Board of Standards, Inc. All Rights Reserved.